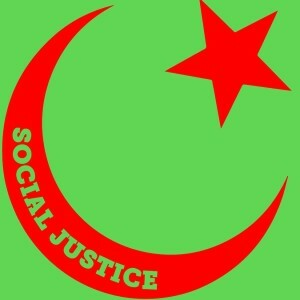 1) MSJ is dedicated to social justice and human rights for all. 2) We will prioritize fighting racism, white supremacy and sexism within as well as beyond the Muslim community. 3) MSJ will work closely on anti-colonial, anti-Islamophobia, Black Liberation movements, international issues and progressive social movements. MSJ will connect global liberation movements, like Palestine Liberation Movement, with Black Liberation Movement. 4) MSJ believes that organizing people on the grassroots, rather than charity or mere electoral/legal avenues, will change the balance of power to bring the necessary progressive change. 5) MSJ will build power and change the balance of power by centering the leadership and self-determination of marginalized Muslims, and approaching our organizing through an intersectional lens. MSJ was founded in North Carolina in 2013 to offer liberation theology perspective in Islam. Key founding members included Saladin Muhammad (Black Workers for Justice), Shafeah M’Balia (Black Workers for Justice) and Manzoor Cheema (human rights activists). MSJ believes in a liberation movement to change the balance of power in favor of the oppressed. Since its inception, MSJ has organized within the Muslim community and forged deeper ties between members of the immigrant and African American communities. Muslims for Social Justice highlighted the rise in Islamophobia in North Carolina and was quoted in the media around the world in the wake of Chapel Hill shooting that killed three Muslim students. MSJ organized a network of Triangle organizations in the wake of Chapel Hill tragedy to fight Islamophobia and racism. This network, called Movement to End Racism and Islamophobia (MERINC.org), has nine North Carolina-based member organizations and organized multiple forums against Islamophobia and racism. MSJ members have actively worked against anti-black racism and participated in Black Lives Matter actions. Members of have also participated in and spoken at Moral Monday Movement, HKonJ rallies, worker rights rallies and actions against environmental racism. MSJ founding member, Manzoor Cheema, was awarded 2014 International Human Rights Award by The Human Rights Coalition of North Carolina and featured as “Tar Heel of the Week” by The News and Observer on February 21, 2015.